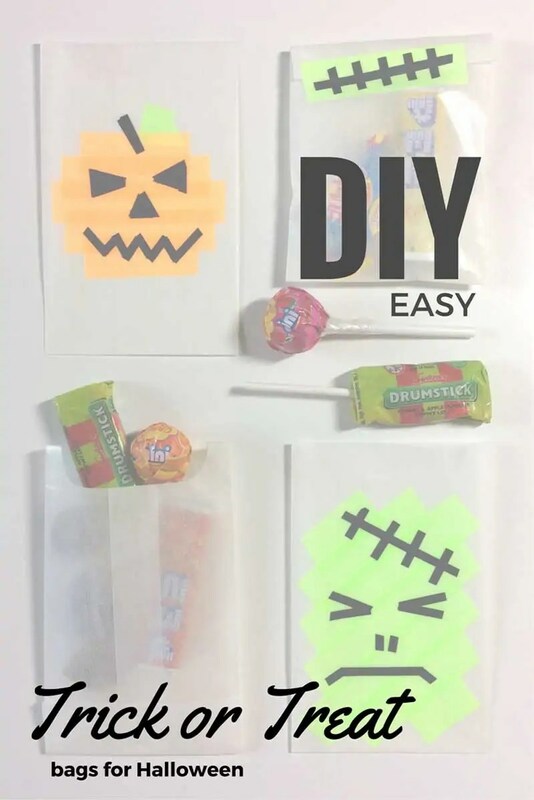 These easy DIY trick or treat bags are super cute and quick to make. 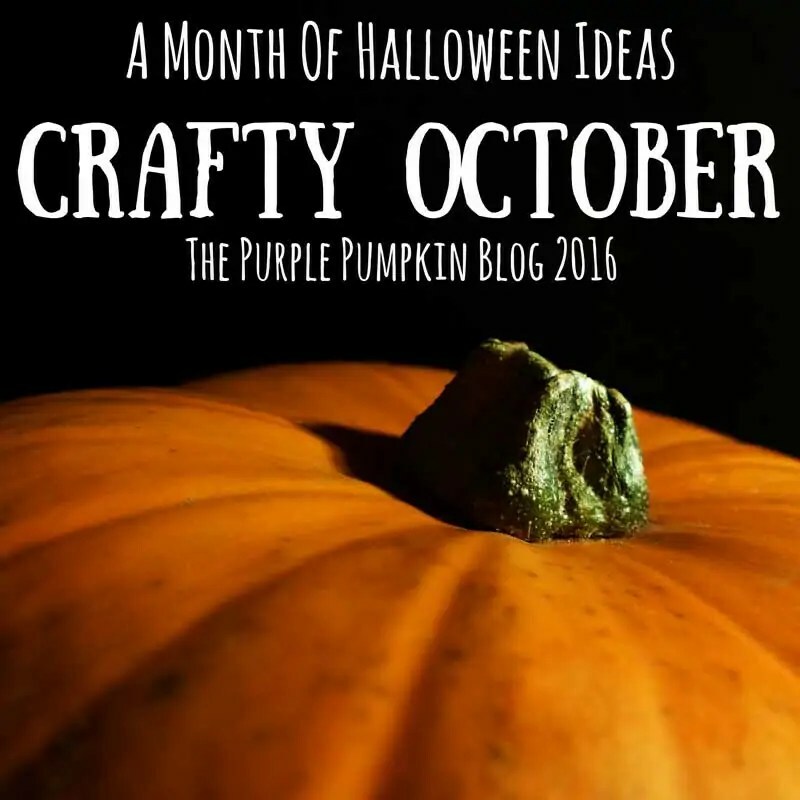 Making these can be a fun Halloween craft for kids, so they can help you make them if you’re doing enough for the whole class. 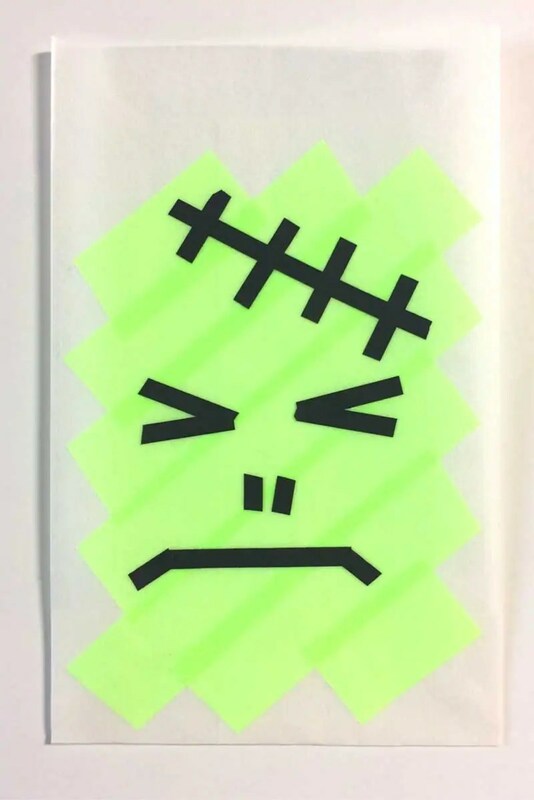 Use green tape (we chose neon green) to create a rectangular shape by overlapping the washi. You don’t need to be neat here – just get the basic shape. Cut smaller pieces of black washi tape to make the scar, eyes, nostrils and mouth of your monster. You could also use googly eyes if you have some! Use orange tape (we chose neon orange) to create a basic round shape by overlapping the washi. Again, you don’t need to be neat – just get the basic shape. Cut small green triangles of washi tape to make the leaves. 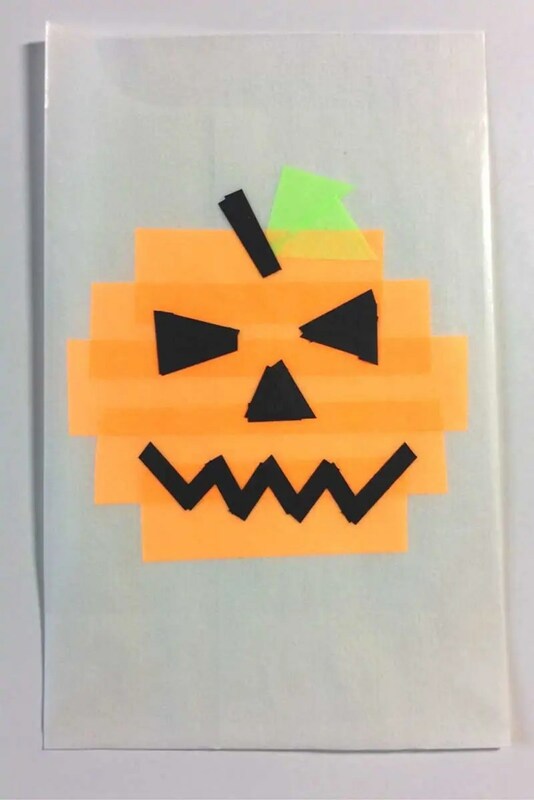 Use small pieces of black washi tape to make the stalk, triangular eyes, nose and zig-zag mouth of your jack-o-lantern. 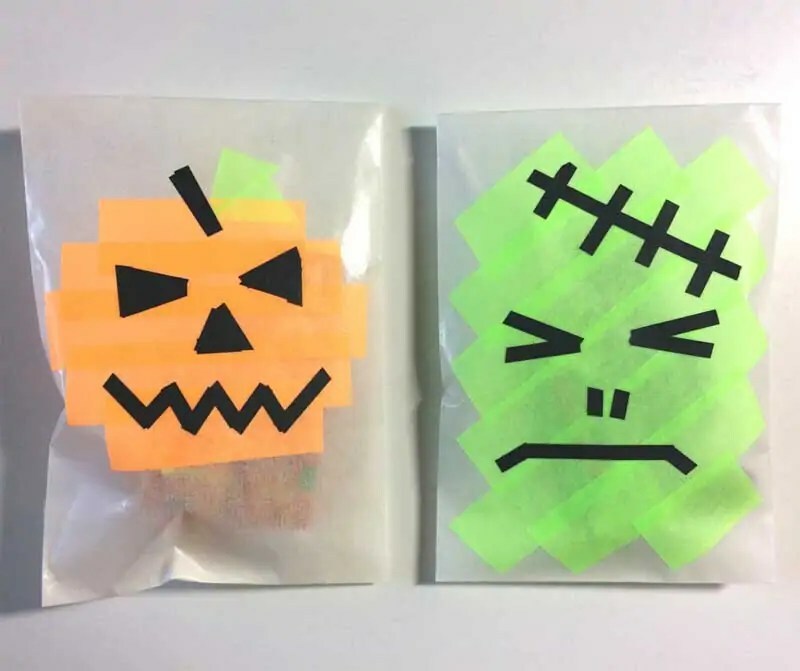 Once you’ve stuffed your bags with treats, you can seal them using the washi tape (adding a scar detail on the Frankenstein ones and a zig-zag detail on the pumpkin bag seal if you have time). Gude is the owner of The Paperdashery, an online stationery boutique supplying all you need to send happiness through the mail. 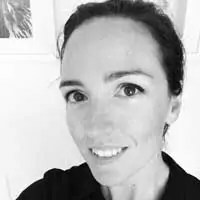 She is also founder of the #MamaMail project (sending happiness to new mamas).